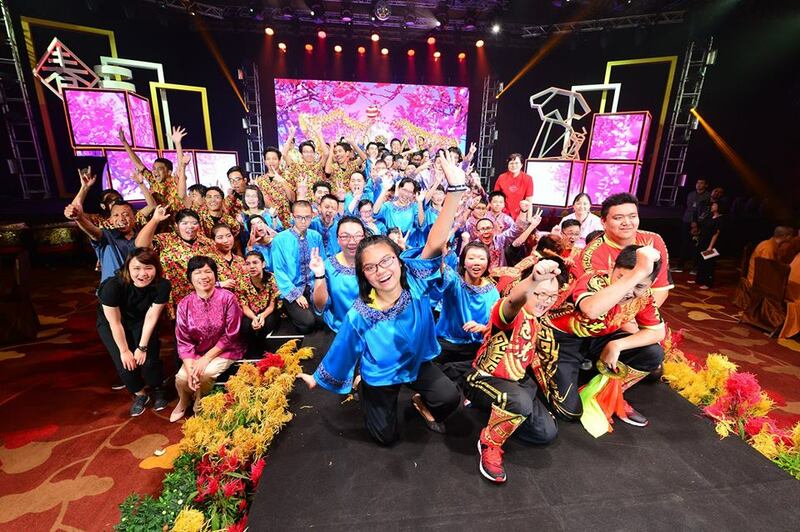 Organised by Golden Pagoda Buddhist Temple, on the 22nd February 2018 at Marina Bay Sands, our students and alumni performed at the event after several rounds of rehearsals under the guidance of Dr Danny, the art director of the event. 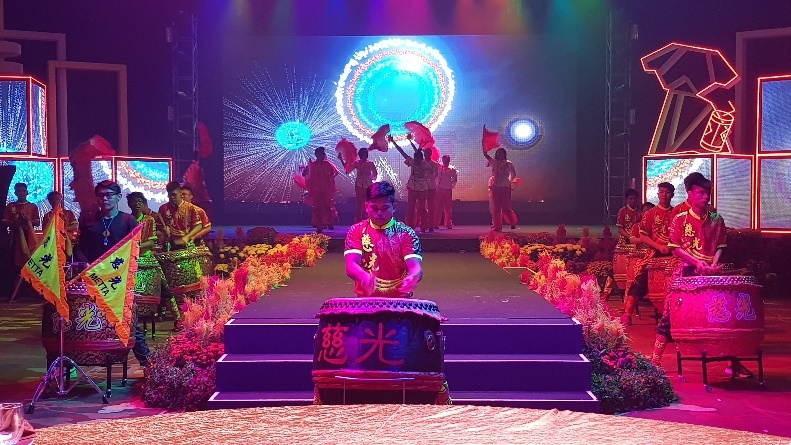 There were CO, Angklung, Percussion, Dance, Wushu, Drums, Circus Art & SPARKS, Dragon & Lion Dance besides the stations at the foyer including mosaic art, acrylic painting, digital art, Chinese calligraphy and gamelan. 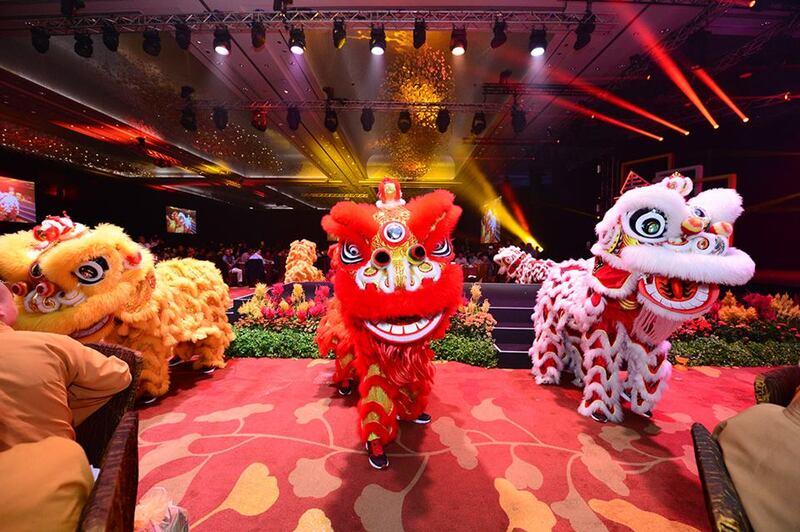 The Guest of Honour was Minister Ng Chee Meng. He gave good feedback for the performance and thank the staff for the care and effort puts in to develop the students. 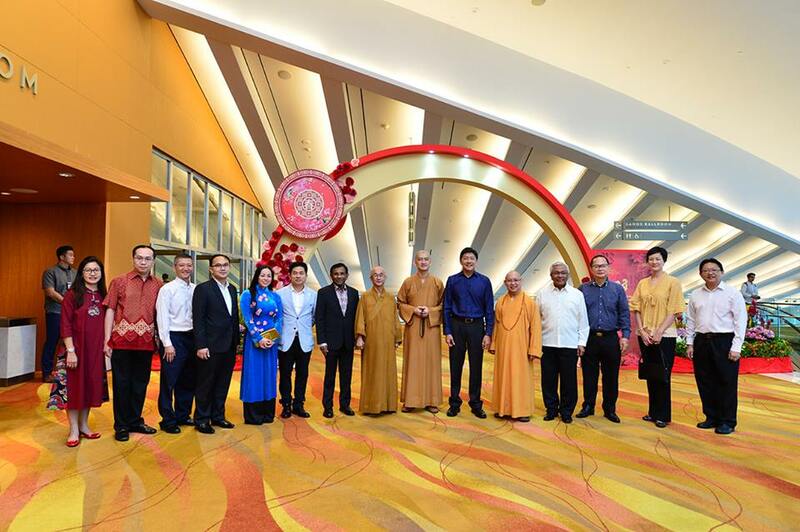 Our Guest of Honour, Minister Ng Chee Meng and Distinguished guests. 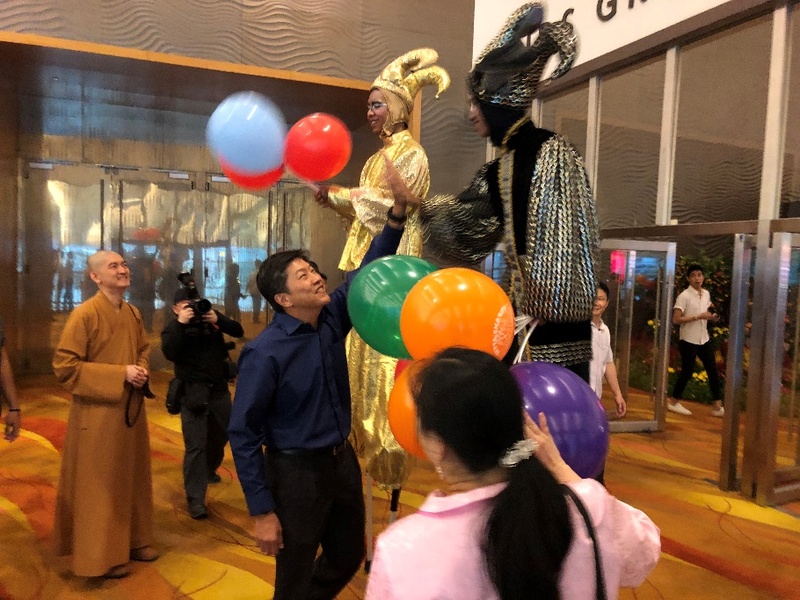 Minister Ng High Five with our Stilt walkers. 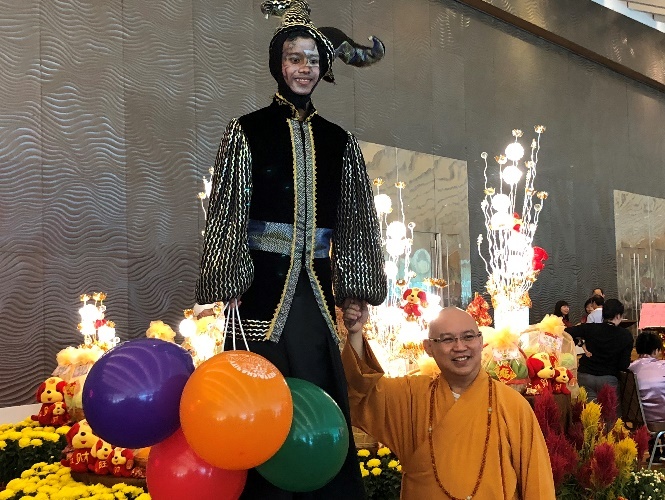 Ven Shi Pu En with our Stilt walker. 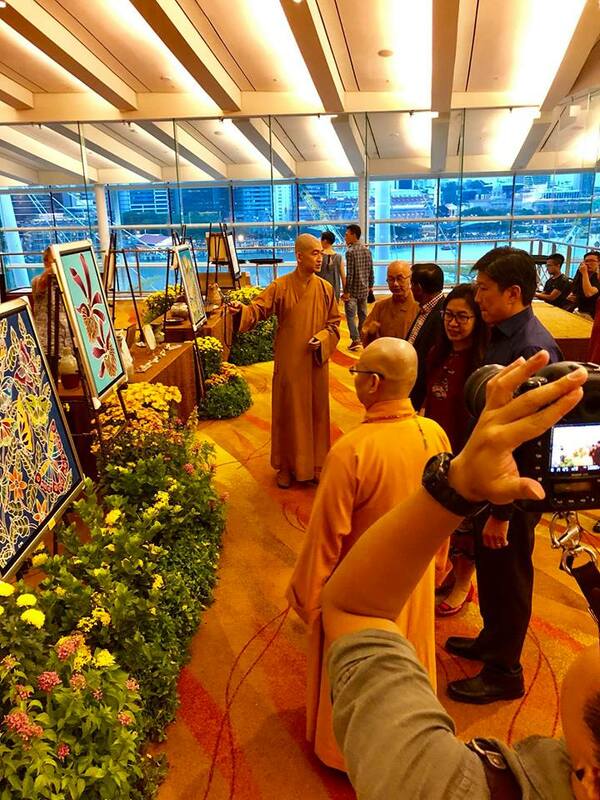 Art Exhibitions put up by our Metta School students and Alumni. 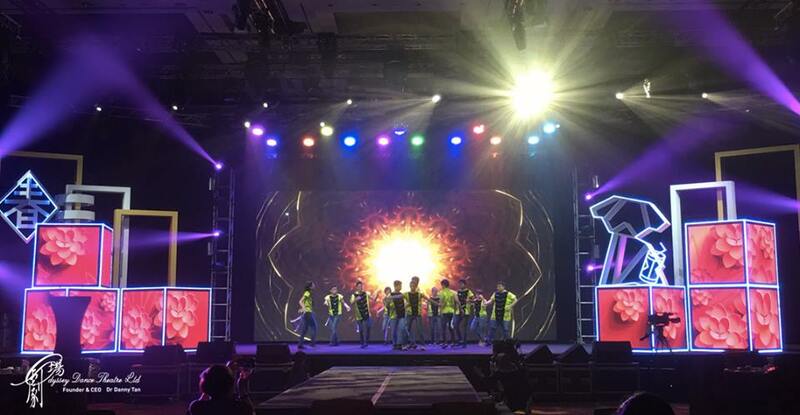 Our STOMP Warriors whipping up a Storm. 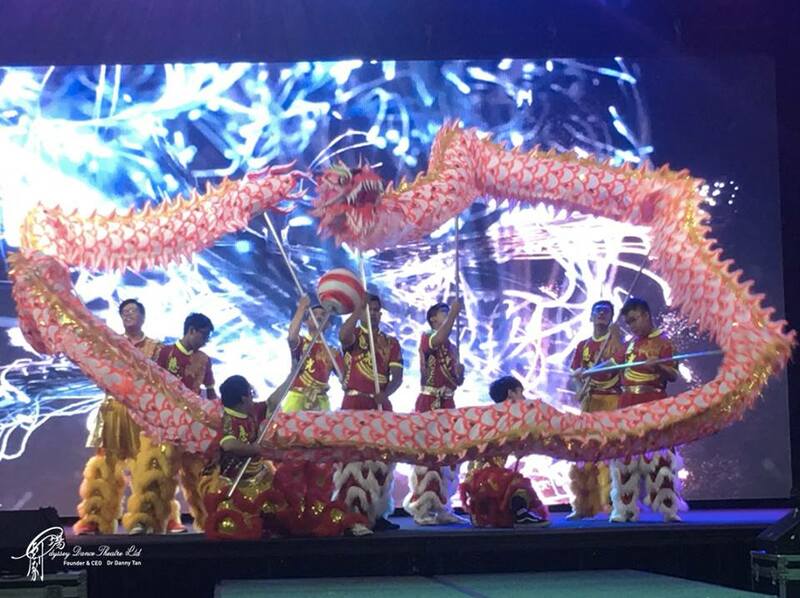 Dragon dance showing vitality and strength. 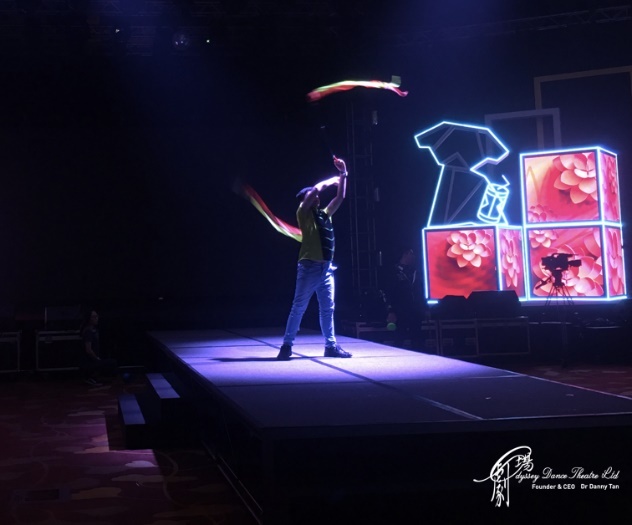 Hot Steppers with their agile movements. 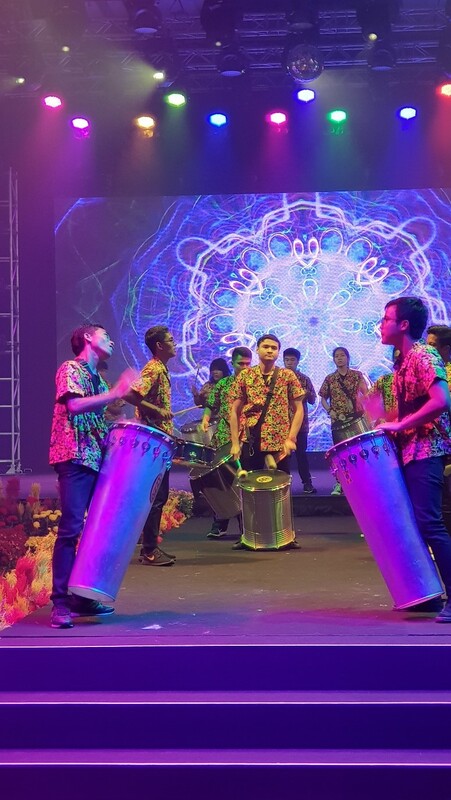 Opening item with drums and dance. A group photo after the performance.